Home / News / Public Education Advocacy Group Endorses Wilson! 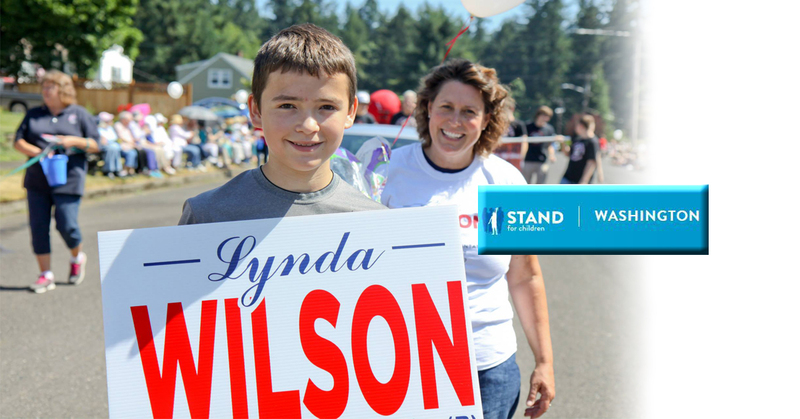 The public education advocacy group “Sand for Children” has endorsed Lynda Wilson for State Senate in Washington’s 17th Legislative district. Stand for Children Washington is a membership organization working to advance public education, empower parents, and elect courageous leaders. According to their website, Sand for Children’s mission is to ensure that all children, regardless of their background, graduate from high school prepared for, and with access to college or career training. They advocate for effective local, state and national education policies and investments; educate and empower parents, teachers, and community members to demand excellent public schools; elect courageous leaders who will stand up for our priorities; ensure the policies and funding we advocate for reach classrooms and help students. “Thank you to “Stand with Children” who recognizes that I am a strong supporter of a good and solid education with individual opportunities for all students. That our kids are all unique with different learning abilities and capabilities and our education system should reflect that.” Wilson said in reaction to the endorsement.